Paranormal Investigation, Ghost Hunting, whatever you want to call it, DM Paranormal has been consulting about and investigating the paranormal since 2007. Based in New York City, but willing to travel for the right reasons. Paranormal investigation is a discipline like any other, and requires dedication, attention to detail, an analytical mind, and an ability to see beyond the obvious for answers. Also, you have to be willing to stare at computer screens while reviewing evidence. A lot. Yikes, nobody told me about this part of the job! It's completely worth it, though, as you can see by the videos on our evidence page. New York City is one of the most diverse and populous cities in America, with over 9 million people calling it home. Over the centuries since it's been inhabited by settlers from every part of the globe, untold numbers of tragedies have befallen its' citizens. From Battery Park to Pelham Bay Park, you'd be hard pressed to find a single block that hasn't been home to a murder, suicide, mass shooting or other tragic events. These events leave impressions on the environment in the form of energy, and that energy can take myriad forms: intelligent and/or residual hauntings are the most common, but poltergeists are also thought to exist hereabouts. There is even a not-inconsiderable amount of demonic activity within our 5 boroughs, enough to have a venerated NYC police officer give up his piece and shield in favor of a bible and holy water, looking to remove their kind from our city. 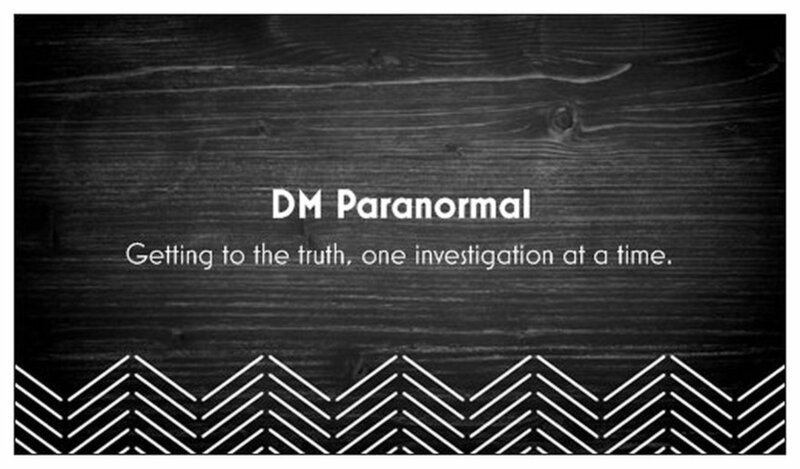 DM Paranormal seeks to get to the bottom of as many of these reports as possible, and to give peace of mind to both the living and the dead. If you or someone you know is having a hard time dealing with odd activity, check the Contact Us page. Finally, we are ghost hunters. None of my team holds degrees in theology, psychology or any other discipline (yet!) that would enable us to make any sort of clinical diagnosis on the mental health of our clients. If you're looking for someone to do that, I recommend that you google a therapist. We're here to help, but we're not mental health professionals. And because someone is possibly being assailed by a spirit or other entity, that doesn't make them crazy.